The Carestation 650c is a compact anesthesia system designed for pendent or wall mount — an ideal solution for induction rooms where floor space is limited. With our newest Carestation, we left no stone unturned, turned conventional wisdom on its head and challenged ourselves to rethink everything. Carestation 600 Series….It's all within reach. 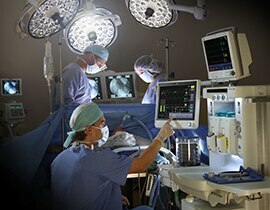 To help clinicians deliver efficient, precise and reliable anesthesia care to solve today's toughest challenges. High touch precision. Low flow performance. GE is a leader in designing Carestations specifically suited to the practice of low-flow anesthesia delivery and its fast wash-in/wash-out requirements. 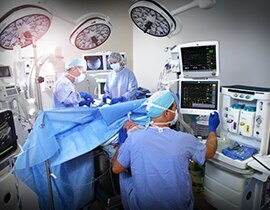 Ensuring quick patient response to changes in fresh gas and anesthetic agent may positively impact anesthetic costs and improve induction and emergence - optimizing time in the OR. Elegantly engineered and appointed with ergonomic touches and software driven time-savers, the Carestation 600 series can help enhance workflows, optimize precious OR time and help hospitals bend the cost curve. Simplifies temporary circuit disconnects. One button temporarily stops all gas flows and suspends alarms, agent delivery and ventilation so you can place all your focus on the patient. Circuit Compliance Compensation ensures that what you set is what you get, precisely showing what is delivered to the patient and taking into account volume in the patient circuit. Monitors and responds to changes in the patient’s airway pressure or respiratory efforts up to 250 times per second. Precision volume and pressure delivery to the patient Y-piece, breath by breath, help reduce the challenges in managing pediatric patients. 2. Tusman, G., Bohm, S. H., Tempra, A., Melkun, F., Garcia, E., Turchetto, E., . . . Lachmann, B. (2003). Effects of recruitment maneuver on atelectasis in anesthetized children. Anesthesiology, 98(1), 14-22. 3. Reinius, H., Jonsson, L., Gustafsson, S., Sundbom, M., Duvernoy, O., Pelosi, P., . . . Freden, F. (2009). Prevention of atelectasis in morbidly obese patients during general anesthesia and paralysis: a computerized tomography study. Anesthesiology, 111(5), 979-987. Scalable solution that connects devices in a single, integrated system. The digital platform supports upgradeability so your investments keep pace with technology advances. ecoFLOW Display: How it looks…how it works. Maintain "O2 total" to be greater than "Fi25 O2 flow"
This compact, economical and easy to use anesthesia system is designed to suit the smallest of spaces. This compact, versatile and easy to use anesthesia system is designed to suit the smallest of spaces and the toughest of challenges.